Waking up with gorgeous, slept in hair is something we all dream about. Unfortunately, most of the time we wake up looking more like a mess than a model. Luckily, we have a few tips and tricks up our sleeve to convince the world we wake up flawless, just like Beyonce. Getting your hair to look textured and fabulous may seem impossible, but with the tricks below, it’s easier than you think. Below is the trifecta of hair products that will give you perfectly tousled hair each and every day. 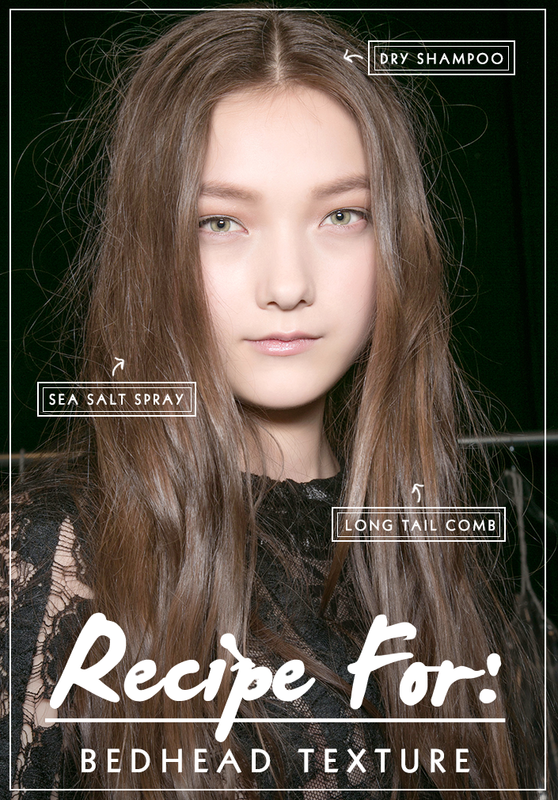 Sea Salt Spray: The key ingredient in achieving tousled and relaxed hair is a sea salt or texturing spray. Spritz some sea salt spray onto your damp hair and mess it around a bit with your fingers. Scrunch it, rough dry it with a blow dryer, and twist is until you reach your desired texture. Dry Shampoo: Once your hair is dry, apply dry shampoo at your roots. Flip your head upside down and rough dry your hair with your fingers. Doing this will give your locks some volume which you need in order to fake bedhead hair. Longtail Comb: For even more volume at the crown, use a longtail comb to tease your roots, then use it to tease out the rest of your hair, too. The longtail comb will also help you create the perfect middle or side part you want to rock with your bedhead hair.